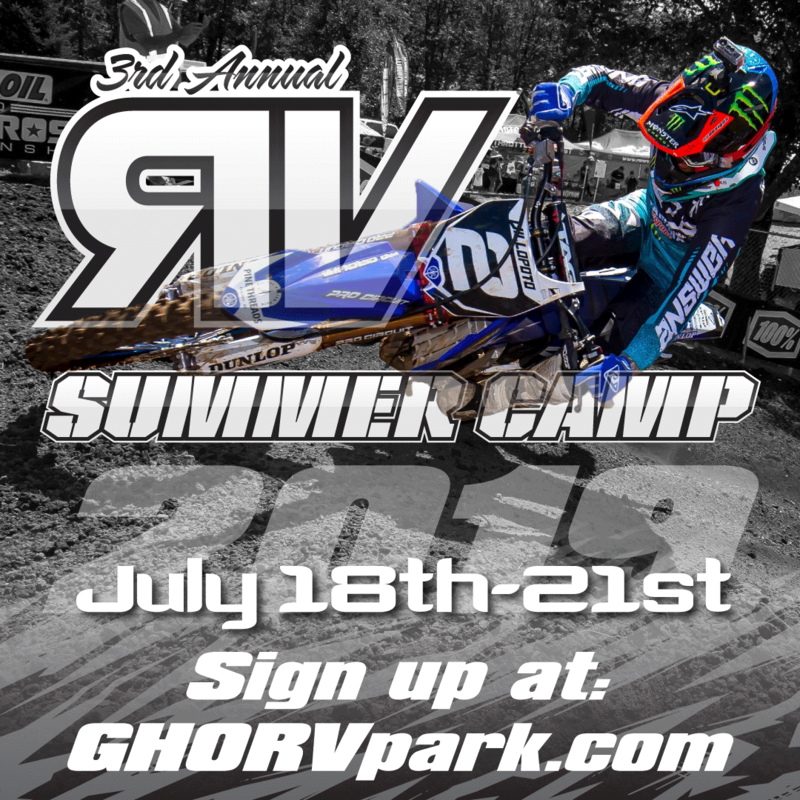 $750 per rider/ $375 deposit at time of sign up. All dinners will be on us, also all water and snacks though out the day (Breakfast and lunch will need to be provided by rider). Non riders (Family members) can purchase dinner tickets if needed. Riding days will be from 9am-3pm with a 1hr break for lunch. Make sure bikes are ready, if riders have multiple bikes bring them. (we will have mechanic’s onsite to help if a problem occurs. Make sure rider is hydrated and has all the proper riding gear. We have several top AMA professionals coming. The camp will work with all skill levels and ages and the training will be set up to help everyone. We will be working on all aspects of riding, general maintenance and set up and race day activities. We will also have fun, we have many off the bike activities planned for both the rider and the parents.